The team at Gary A. Zucker & Associates, P.C. is committed to helping clients in and around Brooklyn. Injury victims need skilled legal experts to negotiate the various hoops of our system. This is especially true when it comes to lawsuits involving motorcycle accidents that lead to serious or fatal injuries. There are times when the accident is the result of factors beyond mere driver error, however. With this in mind, let's consider the hazards caused by road debris and why they make motorcycle accidents more serious. 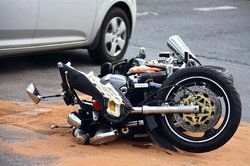 No matter what the debris may be, havinng any sort of matter on the road can lead to major dangers when it comes to motor vehicles, especially when a person is on a motorcycle. Motorcyclists have far less traction on the road than four-wheel vehicles, which means losing control is a major problem. Motorcyclists don't even have to drive over the debris for it to pose a danger. Sometimes by swerving to avoid the debris, motorists run a greater risk of being involved in an accident. This is why road debris needs to be taken seriously. Anything on the road can be a potential hazard, so it's of the utmost importance that drivers pay attention and take care while they are on the road. Given that road debris increases the chance of losing control of a vehicle, the potential for serious injury increases as well. Broken bones, head trauma, spinal corn injuries, and other serious kinds of harm can occur, even if a motorcyclist is wearing the proper protective gear. The severity of the injuries may prove fatal or fundamentally life-changing. Many motorists swerve out of the way to avoid road debris, which increases the risk of multi-vehicle collisions. A motorcyclist may accidentally collide with an adjacent vehicle or vice versa as a reaction to road debris, which can result in multiple serious injuries occurring. Given the potential for a catastrophic accident occurring, it's important to take all debris on the road seriously. While some road debris may be there by accident, road crews and local officials do have a responsibility to ensure that roadways are safe for use. Similarly, trucking companies and truck drivers should properly secure their loads in order to avoid items from spilling out or falling off. Our legal team will look into the circumstances surrounding your collision and hold the negligent party or parties accountable for causing a dangerous situation on the road. We will seek just compensation to cover medical bills and other losses and help you get back on your feet again. If you would like to learn more about your legal options following a serious motorcycle accident, be sure to contact our personal injury lawyers today. The attorneys at Gary A. Zucker & Associates, P.C. will help you in your time of legal need.